Music: If you've heard one Mario soundtrack, you've heard them all and this is no exception. It's wonderful. Entertainment: While a little easy, this is Mario's best handheld yet. For over 25 years, Mario games have always been the go-to series for giving players a reason to pick up Nintendo's latest doohickeys. 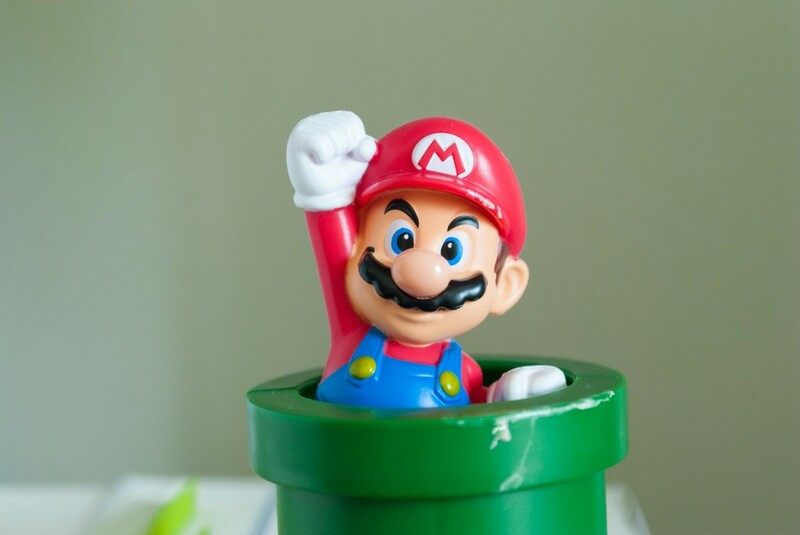 Whether it's popularizing the SNES by packing it with Super Mario World, setting the bar for 3D platforming with Mario 64, or silencing Wii naysayers with the Galaxy games, no series gets consoles into players homes like Miyamoto's plumber. Following in those footsteps is Super Mario 3D Land, which proves the 3DS' worth by delivering one of the best handheld platformers to date. Core Mario games are either strictly 2D or 3D affairs but 3D Land incorporates ideas from both versions, becoming a showcase of everything that makes Mario great. While it retains gameplay of the 3D games, a few old school elements such as using the classic hit system instead the life bar. 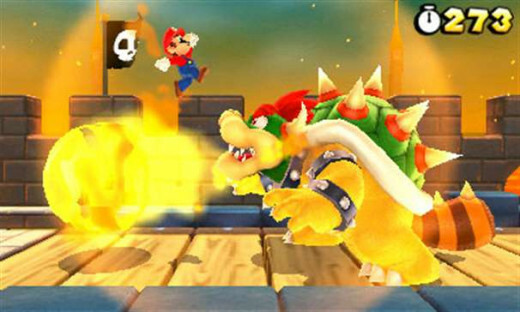 Even the Bowser battles are right out of the original Super Mario Bros., albeit it with some fun new twists. 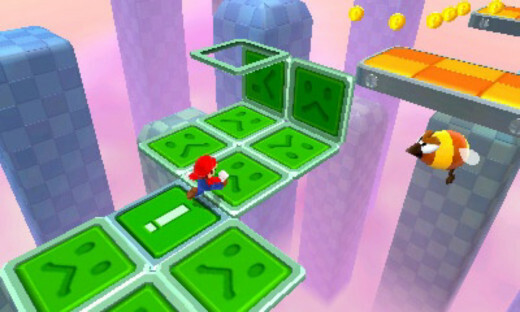 Many stages contain a great mix of standard side-scrolling and the open exploration introduced in Mario 64. There's even a top-down stage in a homage to The Legend of Zelda. While a majority of stages are nothing fans haven't seen in some form before, they're still a blast to play through. A big reason for that is the 3DS circle pad, which controls Mario like a dream. 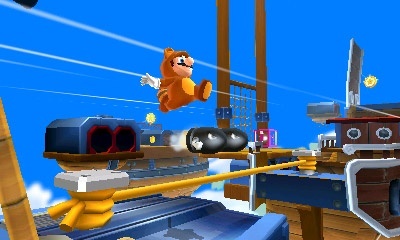 The tanooki suit returns in a big way and retains most of it's familiar abilities such as the glide and tail swipe (though turning into the statue is gone). Even in a 3D space, Tanooki Mario is still the awesome lifesaver that is was in SMB. 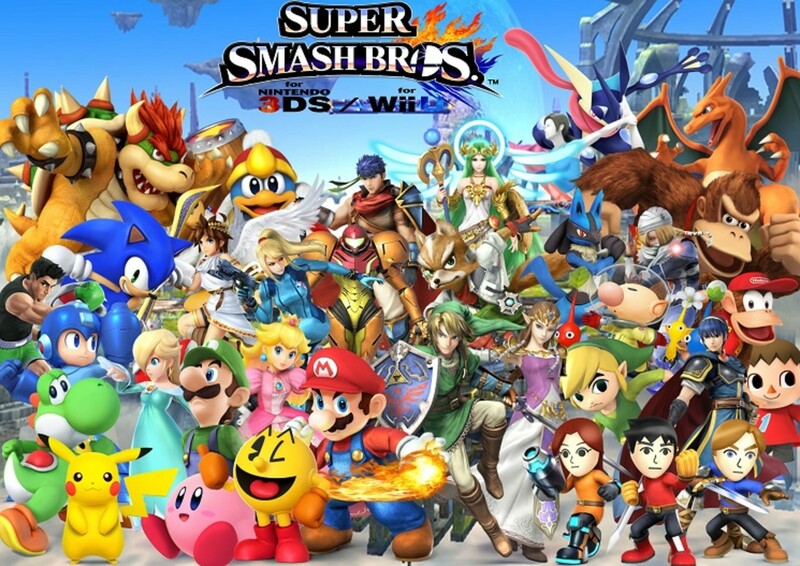 3, which you'll learn quickly, as super leaves appear much more frequently. The new golden tanooki suit grants invincibility and increased flight duration, and only appears after repeated deaths - it's essentially the Mario equivalent of God of War's "You're terrible at this, want to lower the difficulty?" option. 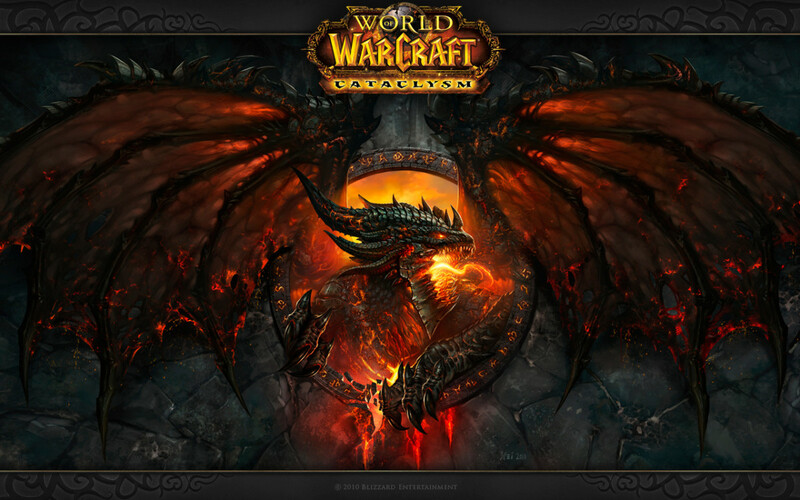 If your eyes can handle it, I highly recommend playing with the 3D turned on at all times. I kept the effect on full blast the entire game and the 3D not only makes the already great visuals even more eye-popping, but the added depth perception can actually help in judging distances in tricky jumps. Some cool M.C. Escher-style puzzles make more meaningful use of the effect, exposing seemingly flat platforms as three-dimensional objects. 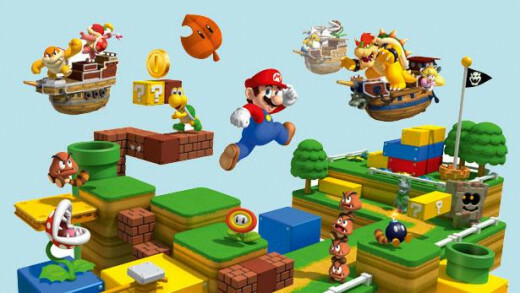 3D Land is one of the easier Mario titles. I maintained over 80 lives throughout most of it, and I as much as I'd like to toot my own skill horn, I attribute that more to the relaxed difficulty. 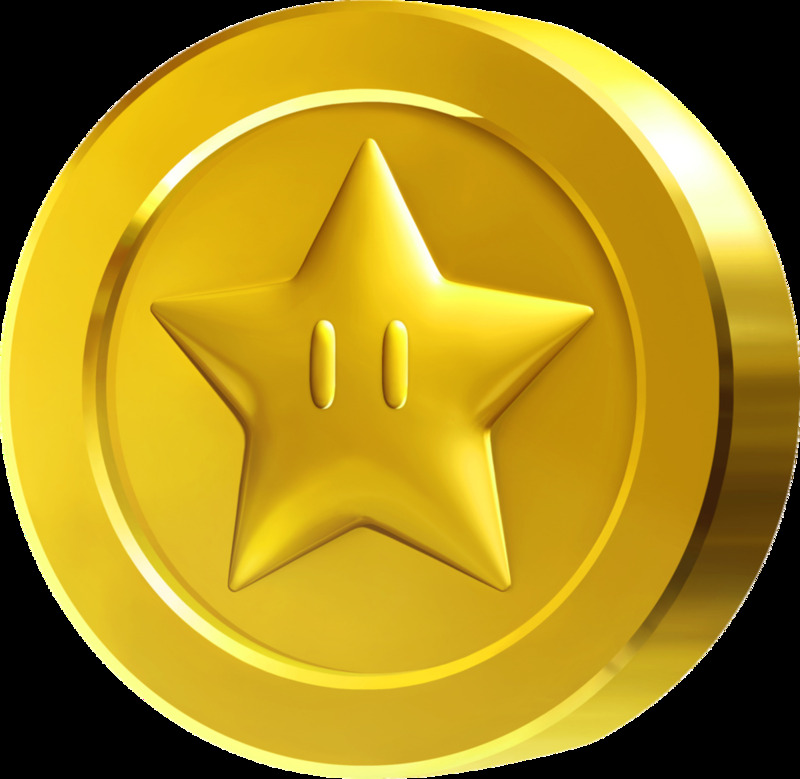 Finding every Star Coin isn't nearly the ordeal that it is in previous entries, which may disappoint Mariophiles looking to test their skills. 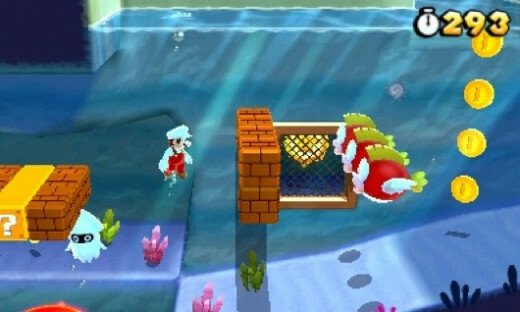 Super Mario 3D Land is clearly more focused on showcasing the capabilities of the 3DS in a way that anyone can enjoy it. On that note, it's a big success.